As world economic conditions, platform business models, and tech. 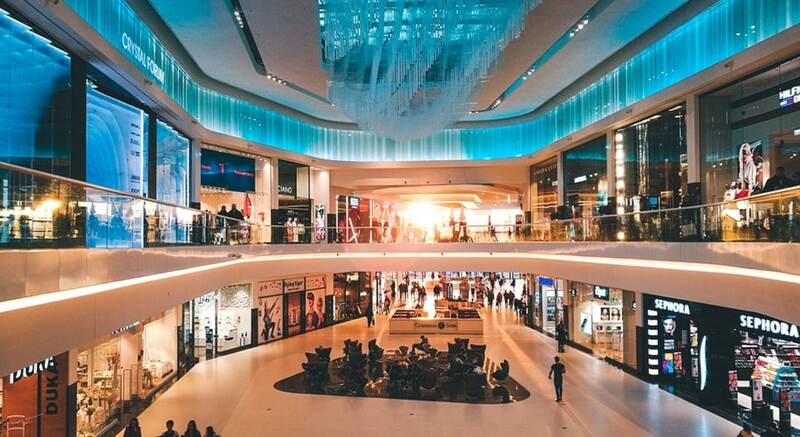 advances continue to drive disruption in the retail industry, innovating to stay relevant & offer best-in-class products, services, and experiences is increasingly critical to the transformation agenda of retail business leaders. The future of retail lies in understanding the real needs of consumers, learning from & responding to every customer interaction using a combination of technologies – data, analytics, digital, mobile, automation, cloud, and AI. This transformation strategy, often referred to as “Intelligent Digital,” gives retailers the power to re imagine business models and steer an optimistic course towards Retail 4.0. As we know that consumers are connected 24*7. Information is easily accessible in any anywhere anytime across multiple mobile devices and openly shared by digital communities. There is a growing awareness that personal data has an economic value to retailers, brands, and marketers alike, making transparency, ethics, & governance ever more important. Tech-savvy consumers are multi-generational, from Baby Boomers to Millennials to Generation Z, all actively engaging with the digital economy and their preferred social media platforms. What does this mean for retailers looking to evolve their customer value proposition? There is no simple solution as we are still in the age of discovery. Recent innovative concepts have brought cashless/cash back check-out, digitally customizable branded products, digital personalized subscription services, keyless home delivery services, and visual product searches via mobile, to name a few. For many years, tech. leaders have spoken about a truly personalized customer experience to drive loyalty, where data and analytics will build a “360-degree view of the individual” using insights from across all digital touchpoints to deliver the right offer to the right customer at the right time. Enabled by cloud-based architectures, this is becoming a reality. More recently, futurists have shifted the narrative from omnichannel to “frictionless commerce” where consumer transactions crisscross both physical and digital channels to deliver a seamless experience. Given the right focus and investment, this too is possible with Retail 4.0. Perhaps easier to make a reality in the shorter term is a richer retail experience where, for example, an online chatbot engages a customer with product recommendations or conveniently books an in-store service appointment. While industry trend predictions often focus on deepening customer engagement, let’s not forget that a great customer experience relies on a foundation of operational excellence. The opportunity to digitize and automate repetitive human tasks is going to be a game-changer, whether through digital asset management that enables a “create once, publish everywhere” culture, or robotic process automation (RPA) coupled with machine learning to take away the burden of vendor management invoicing or claims. Harnessing the potential of Industry 4.0 is dependent on how we combine humans with technology. If innovating is the key to staying ahead, it’s critical that retailers discover and build the right mix of Intelligent Digital technologies to support offerings and experiences that consumers will perceive as differentiators. This could be any combination of convenience, speed, value, or brand enchantment they desire, wherever and whenever they choose to engage. Transitioning to next-generation commerce in the era of Industry 4.0 requires retail leaders to carefully consider where to invest scarce resources, navigating expectations in our fail-fast culture that investment decisions should drive tangible financial results over the short-term as well as the medium-term horizon. To steer an effective course, retailers need an end-to-end framework, such as the Intelligent Digital Blueprint for assessing customer experience and operational capabilities across all channels, digital and physical, adopting a structured and holistic approach to developing what will undoubtedly become the evolving roadmap towards Intelligent Digital – Retail 4.0. Philomathes (pronounced as fillo-MAY-thus) is a fictional character at VAYUZ (https://www.vayuz.com), who is on a never ending journey called “LEARNING”. In a way, Philomathes embodies VAYUZ - Way of life, which is if you are not learning then you are not breathing. The word Philomathes, comes from the Greek roots philo and philein meaning "to love" and the Greek roots mathos (MAH-thos) and mathesis (muh-THAYSIS) meaning “learning”. Philomathes through his Blogs and Vlogs (Video Blogs) will share his experience, learnings and thoughts. In his tryst to learn and understand, he would also seek answers to questions. So if you would like to join him in this incredible journey called “ life” then feel free to write to him on philomathes.jigyasu@vayuz.com. Always remember, knowledge is all around us, we just need to keep our guards down and senses on. Planning to hire an expert? Leveraging benefits of offshore model, hire expert developers at cost effective rates.